Near the YH , a footpath to Garn Fawr can be found. 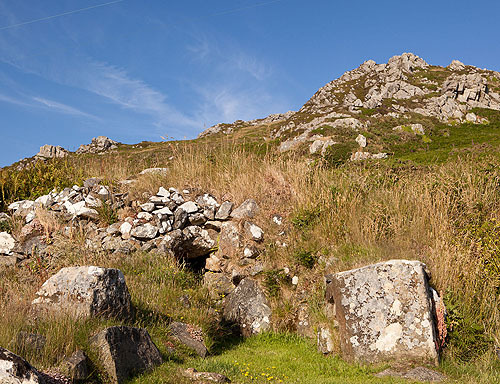 The "hut", a Hermit's Cell from the middle ages? ,can be seen near the stile leading up to Garn Fawr. A stone-built structure, 2.0m across and 2.0m high, built into a natural slope, having a restored stone corbelled roof. Possibly one of a group of three such structures , of Unknown age .